Winter is a time of year which has got a lot going for it. Who doesn’t like cosy evenings around the fire with a glass of single malt whisky or a mug of hot chocolate, whichever takes your fancy? However, it is also a season which can cost you a lot of money if you aren’t ready for it. So how will you make sure that you are financially prepared for this coming winter? Here are some tips to get you started. One of the most basic steps to take is that of insulating as much as you can. Loft insulation and cavity wall insulation are great ideas for making sure that the heat you generate stays in the home instead of being lost. The savings you make will make it extremely worthwhile in the long run and it needn’t be too expensive if you do it as a DIY project. In fact, some people who live in the UK are eligible for free insulation if they meet certain criteria. It depends upon where you live, the type of house you live in and the financial situation of the people who live there. It is definitely worth checking out online if your home doesn’t already have this done to it. Pipe and tank insulation is a different type of preparation for the cold months but it can save you money just as well. In this case, you are making sure that the heat doesn’t escape before it even reaches you. All of these insulating jobs will pay for themselves in very little time. For example, if you do the work yourself then simply insulating the main hot water tank should pay for itself in six months. One of the worst things that can happen over winter is that your car runs into problems or you have an accident due to difficult driving conditions. With the cost of getting work done by a mechanic now so high this could put a huge dent in your family budget. To get your car ready for the cold season there are a few simple things you can do. First of all, you should check things like the anti freeze level, the battery, the heater, the brakes and the defroster. These are checks which you can make yourself if you are comfortable doing so. If you aren’t then a mechanic shouldn’t charge too much for it and it will certainly be cheaper than paying for repairs later on. It’s also important to check your lights are in working order, as you will need them more with the early nights at this time of year. The windscreen wiper fluid can also be exchanged now for a special formula which won’t freeze in winter. Some people change their tyres for special winter ones which perform better in snow and cold weather as well. If you don’t want to go to this expense you should make sure that the tread level on the existing ones is still acceptable. You should ensure that your vehicle has all of the necessary tools to help you deal with a breakdown or a heavy snowfall, rather than having to get help. Speaking of which, this is also a good time of year to consider whether you have adequate breakdown cover and insurance, in case the worst happens. 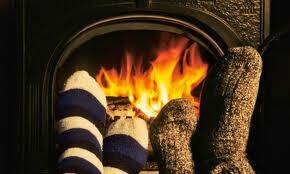 Your boiler is vital to making a cold winter as pleasant as it can be. If your boiler is inefficient or breaks down at some point then it is going to be an extra expense and a lot of hassle for you. The best idea is to make sure that it has been serviced professionally before the cold weather really kicks in. An even better idea is to get it covered under a special protection policy offered by companies like Energy Helpline. Having your boiler covered in the event of a breakdown will let you enjoy these months of the year without any worries about something going wrong and wrecking your finances. If your boiler is old and tired then it might be the time to switch a newer, more efficient one which costs less money to run. 8 Tips to Save £1000 This Winter! Are you prepared for a possible cut to child tax credits? 12 Responses to Are You Financially Prepared for Winter? We have a lot of things that we need to do to prepare for winter. Great list! I start worrying about winter in the Fall and getting things ready. I like to prepare ahead of time for the upcoming season so I’m not left scrambling. Sounds like you are ready for a cosy winter Dojo. Well, I guess living in the tropics does have its advantages…sun almost every day of the year 🙂 With my complete dislike for cold weather I’d definitely need to plan well in advance to prepare for the winter season! Great info here, Robert. I would also add that an emergency kit in your car is even more crucial in the winter: some hand/foot warmers, some snacks/water, flares, a blanket and other stuff to keep you warm and cozy in case of a breakdown or accident while you wait for help. Nice tips Laurie. You don’t want to be stuck in your car without those things. I love in the Midwest of the US, so I have some experience with Winter as well. I live in a newer home now, but our first home had leaky windows and I was amazed at how much our gas bill dropped when we put plastic over the windows to seal them up!